You’ve got the family car packed up, the GPS is on and you’re ready to go on your next family road trip with the kids! 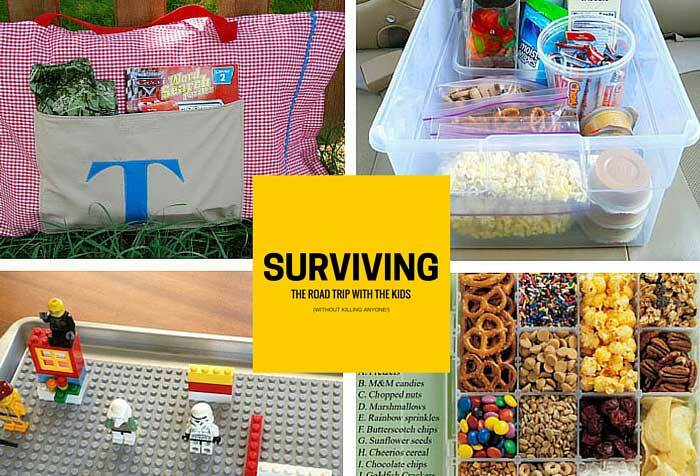 Before squeals of, “Mummy, I’m soooooo bored” or moans of, “I’m hungry, when are we going to stop?” hit your ears, plan ahead with a few of these creative travel hacks. 1. 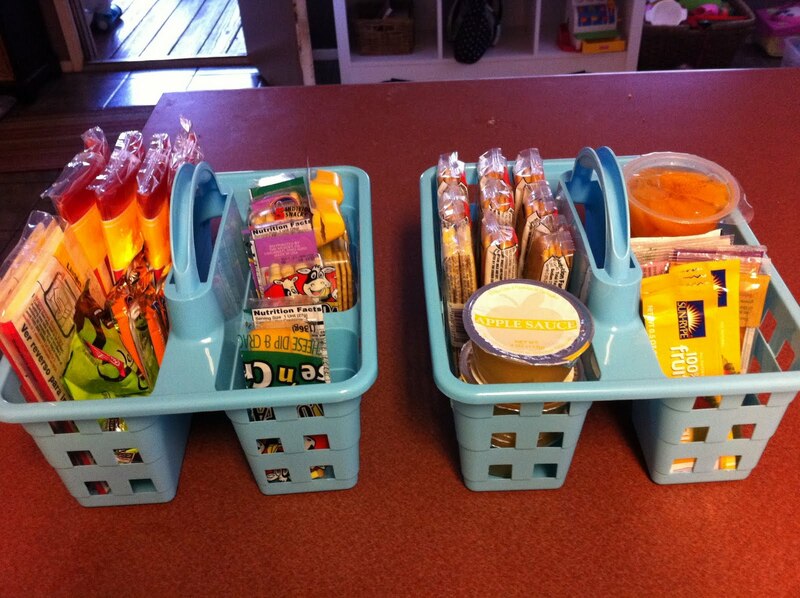 Use a bento lunch box as arts and crafts car storage. 2. Try a shower caddy as an easy meal holder. 3. Sew a pocket-front road trip pillow case carrier, using your favourite fabrics, some ribbon and velcro! 4. 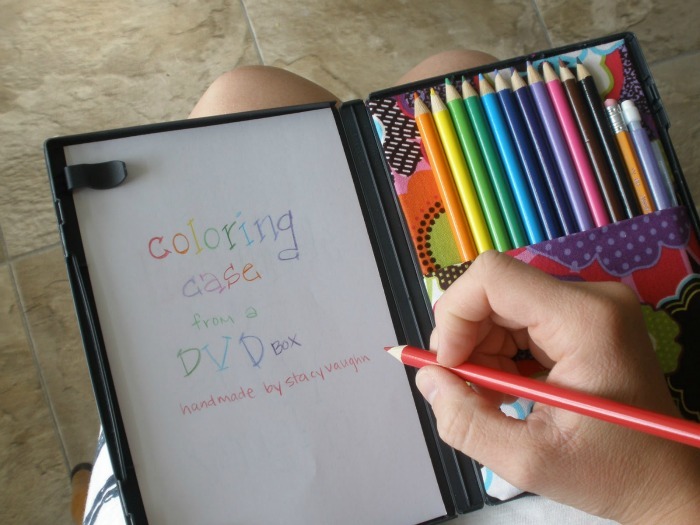 Give the kids something stable to color on with an upcycled DVD drawing case. 5. Reuse that old baby food tray (with its lid) or cover an ice cube tray to make a snack holder! Fill the different compartments with bite-sized goodies for each family member. 6. 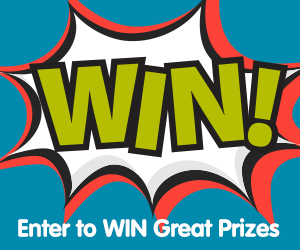 Do you have a kid (or two) who gets queasy the moment the wheels hit the road. Try out this DIY car sick bag. 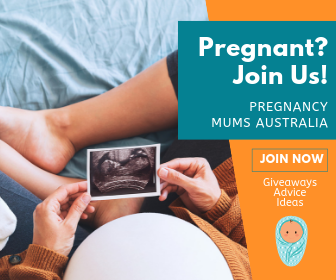 It includes everything you might just need during your car trip — motion sickness bands, anti-bacterial wipes (just in case those motion sickness bands don’t work out), small snacks, bottled water and anything else that makes the road trip less rough for your child. 7. 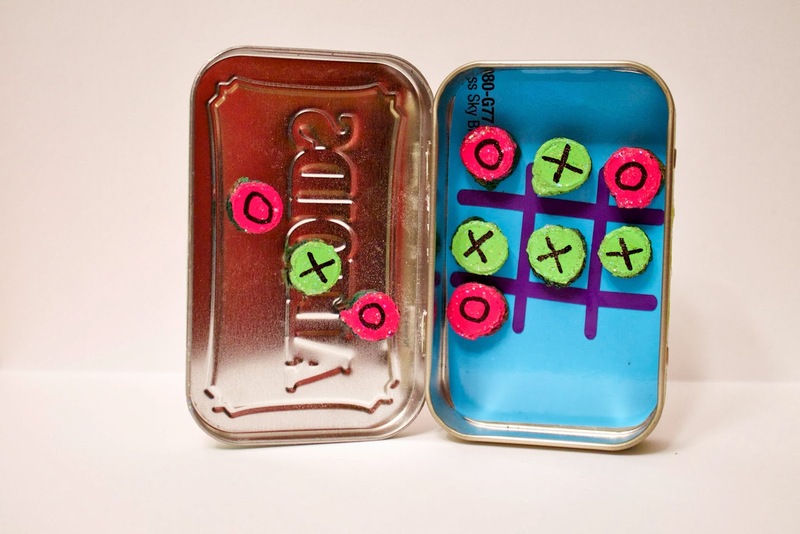 Turn an old mint tin into a totally cool travel game. 8. Make a portable activity tray with a metal baking tray. Add Lego, magnets or use it for arts and crafts.